Once in a while you get to check off an item on your bucket list. I always wanted to go to Australia, but most especially I wanted to see the Great Barrier Reef, located near Cairns, Australia. My 2009 trip to Australia afforded me that opportunity. The gallery presented here are photos taken with my Canon G9, safely housed in an underwater case made especially for it. From Cairns I took a snorkeling trip to the reef. 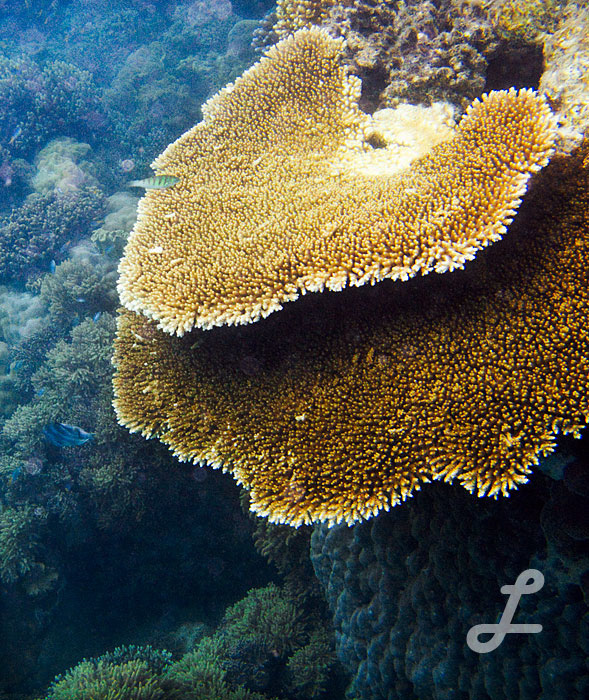 Several hundred miles long, the reef exhibits a wide variety of sea life, only a tiny segment of which was I able to see. I also have some short video clips of the softer corals that I will post later. Following my boat trip around Sydney harbor (that’s how they spell it down under) and my personal tour of the Gateway Building, I had time to walk around the harbor itself. Many things are attractive about the harbor, but the dominant feature (in addition to the Opera House) is the Harbour Bridge (that’s how they spell it down under). 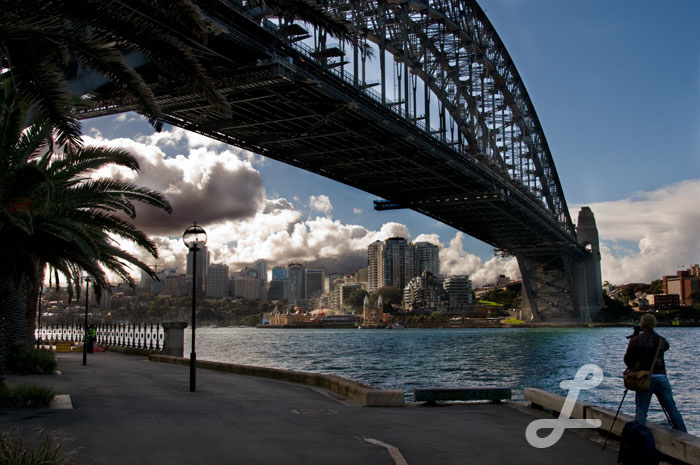 Because of the shape of the arch, the bridge is nicknamed “The Coathanger Bridge.” Sydney residents enjoy many activities related to the bridge, such as fishing. Visitors and residents alike photograph it and, for the courageous, can walk up onto the arch. 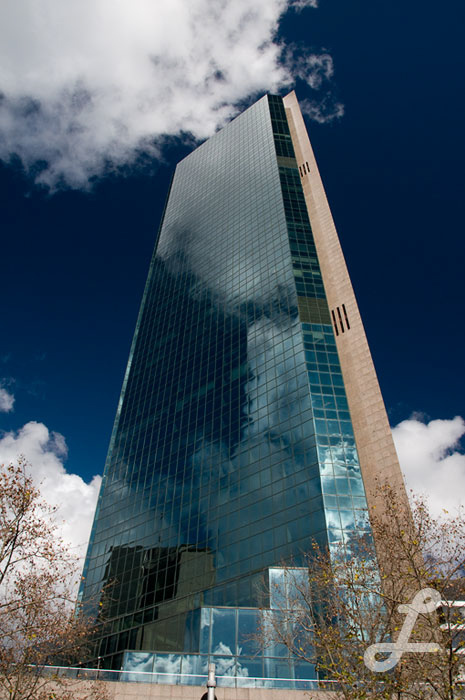 After taking an informative and delightful tour of Sydney harbor, the Gateway Building caught my eye. Given the delight of a beautiful day with deep blue sky dotted with clouds, I wandered around it while waiting for my ride for a tour of the city. This gallery illustrates the importance of “working the subject.” Don’t be satisfied with one shot of something that catches your eye; rather, approach it from many angles, taking both wide shots and close-ups of details. 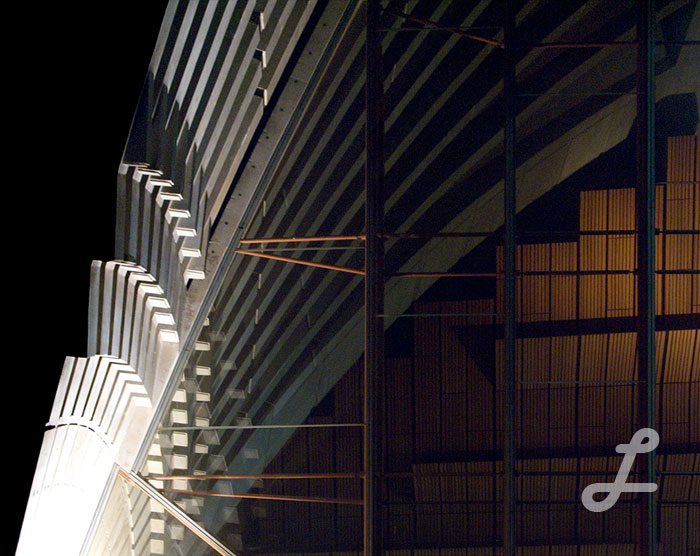 The Sydney Opera House is a photographer’s delight. Whether viewing from land or sea, at dawn or dusk, the building’s many facets shine like a diamond. In 2009 I had the good fortune to travel to Australia, a life-long dream. I flew to Sydney, then Brisbane, then north to Cairns and the Great Barrier Reef. This first post from that trip illustrates the Sydney Opera House. Quite a bit of controversy surrounded its construction. The architect whose design it embodies was so discouraged by the negative public reaction to his plan that he did not attend the opening! A ride around Sydney harbor provides views of the Opera House and the Harbor Bridge, as well as some of the cities most interesting buildings. More on those later. If you have a chance to go, do try to attend a performance. the orchestra sits in the midst of the audience, as the interior photo reveals. The acoustics are incredible. "Science without philosophy is lame, philosophy without science is blind." This paraphrase of Albert Einstein (he used "religion" in place of "philosophy") characterizes my approach to philosophy. More specifically, every course I teach includes at least some material on critical thinking and the evaluation of arguments, as well as enough material on evolution to provide a common background. My favorite philosopher is Aristotle, even though I did not write my dissertation on him. My favorite scientist is Darwin, even though I never formally studied his work. I think of myself as either an Aristotelian-Darwinian or a Darwinian-Aristotelian, depending on the issue at hand (or how I feel that day).